Ever since musicforthemorningafter, Pete Yorn’s exceptional 2001 debut, the singersongwriter brought into the world a dark folk music, filled with sharp lyrics and electric guitar. Over a decade later, he teamed up with musician J.D. 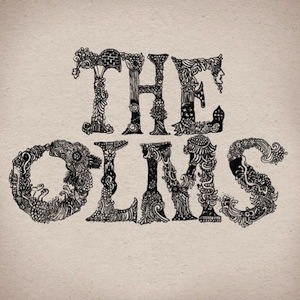 King for a new duo, a new album, and a new chapter out of an old book: The Olms. Their self-titled album embraces Yorn and King’s love for classic folk-rock, less an adventure than a safe trip into familiar territory. “Wanna Feel It,” the album opener and lead single, is a catchy and warm mid-tempo tune, jangling along at an easy pace until it stops abruptly. The sudden cut off is unexpected, but it’s the only surprising moment of an album that never varies from the same easy pace. Trading off lead vocals, Yorn and King stick consistently to songwriting conventions of the 1960s, borrowing harmonies and acoustic instrumentation from sunny California rock. “Rise And Shine” uses those influences best, its expansive choruses feeling whole and happy and not out of place on a Fleet Foxes record. “On the Line” uses handclaps, cowbell, and speak-sing vocals that make for a nice groove, and “Someone Else’s Girl” is classic Yorn in composition, but The Olms is otherwise a shallow conversation, never moving deeper than pleasantries. Over ten songs, the album ends up a forgettable trip down memory lane, neither offensive nor challenging.